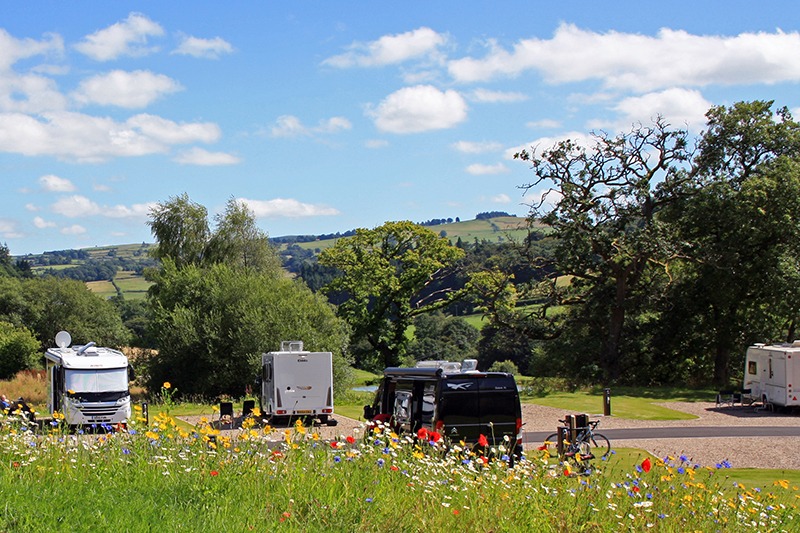 Positioned on a gently sloping, south-facing site with beautiful views across the valley, Red Kite is in an ideal location for exploring the Clywedog Reservoir, Hafren Forest and the Elan Valley, or further afield the Snowdonia National Park and the Brecon Beacons. The route to Llanidloes is only 20 minutes along a well-lit footpath and only 40 minutes drive to beautiful coastal towns. 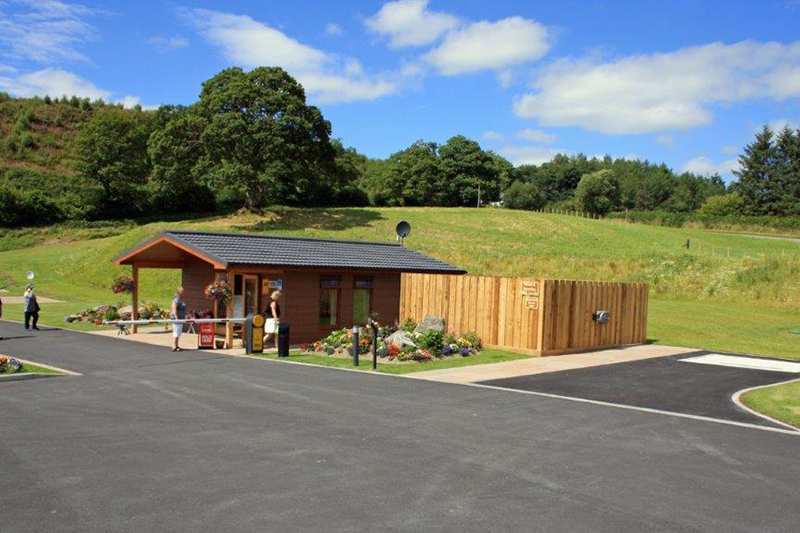 The park offers peace and tranquillity with superb views across the Welsh Valley and a warm, friendly welcome. Within the grounds of the park there are large dog walking areas, with a separate fenced off dog training area. There are nice walks from the park into town or along the river Clywedog, and the Severn Way skirts the park. Late arrivals are welcome, with electric hook-up and water available, and large, clean refuse and recycling areas keep the park in top condition. The park is laid out into four terraces/areas: Tylluan Wen (Owl), Bwncath (Buzzard), Barcud Coch (Red Kite) and Creyr Glas (Heron). All pitches are gravel hardstanding, accessed along tarmac roadways with brick paved edgings. Each pitch is fully serviced with 16 amp electricity, fresh water connection, grey and brown water disposal, free WiFi on all pitches and piped television. Our ‘Loo of the Year Platinum’ toilet block with underfloor heating throughout features sensor activated flushing toilets, hand basins and showers, fully fitted out disabled wet room, laundrette including washers, dryers, ironing board and handwashing facilities, washing up room with secondary information point, dog wash room complete with dryer and Elsan point for blue chemical. 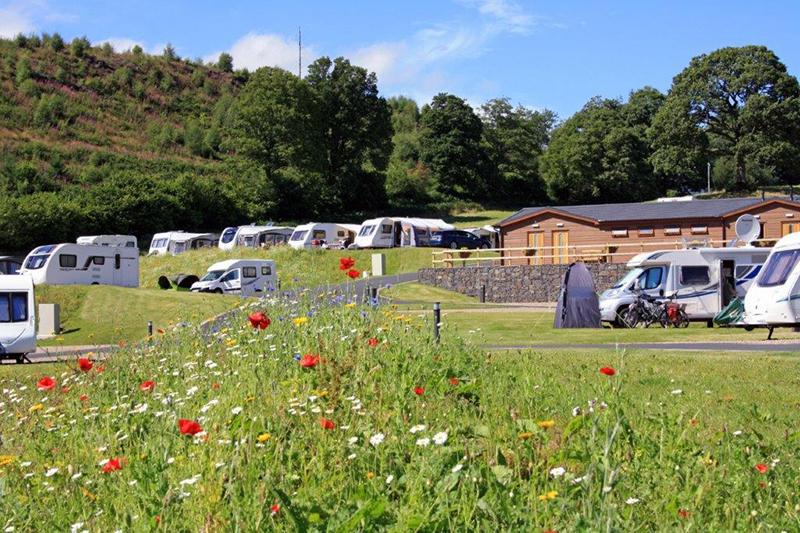 Close to the park is Clywedog Dam and Sailing Club less than three miles away, a 20 minute walk will take you into the market town of Llanidloes, Red Kite feeding centres are only a 20 minute drive away and we are 40 minutes from the Royal Welsh showground and Welsh coastal towns.